L3 Space & Sensors has announced that the company has successfully completed acoustic testing on the Space Based Infrared System (SBIRS) Wide Field of View (WFOV) program optical payload built by L3. This test was a joint venture of the Space and Missile Systems Center Remote Sensing Systems Directorate (SMC/RS) and its partners, L3 Technologies and Millennium Space Systems. A new and innovative testing method was used to recreate the sound and vibrational pressures that an actual payload is subject to during launch, verifying the WFOV payload will survive such launch pressures. The spacecraft assembly was blasted for a full minute from all sides with sound pressure simulating a rocket launch, which is approximately six times louder than a large rock concert (picture includes representatives from USAF SMC/RS, L3 SSG and Millennium). Photo is courtesy of the USAF Photo and Walter Talens. The successful acoustic testing is a significant milestone that will keep WFOV on track for launch. As part of the SMC’s Space Modernization Initiative (SMI) for the Air Force’s Overhead Persistent Infrared (OPIR) mission, the WFOV demonstrator will test advanced designs to continuously monitor up to one-third of the Earth’s surface in view of the Geosynchronous Earth Orbiting satellite. It will enhance capabilities to detect threats to the U.S. and our allies and will provide mission risk reduction for the next-generation OPIR program. As part of the test, the spacecraft assembly was blasted for a full minute from all sides with sound pressure simulating a rocket launch, which is approximately six times louder than a large rock concert. This was accomplished by assembling a 17-foot-high circular wall of speakers and placing the payload on top of a simulated spacecraft bus. The outcome of the test confirms WFOV is ready for launch and adds a rapid, reduced risk testing method for future payloads. Once launched, the WFOV will gather on orbit phenomenology and background scene information that is critical to maturing OPIR ground system algorithms and staring sensor technologies. Helping to steer and inform the next generation of Missile Warning, WFOV has already provided sensor design, production and performance lessons to the Air Force and Industry. Work on this milestone test was performed at L3’s SSG division in Wilmington, Massachusetts. 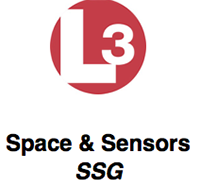 SSG, a part of L3’s Space & Sensors sector, provides space payloads and optical systems for next-generation Earth imaging, missile defense, space situational awareness, science, weather and laser communications. L3 SSG has 250 employees at its Wilmington, Mass. facility and is a division of L3 Technologies. Bob Kline, President of L3 Space & Sensors, said that this type of innovation is part of the rapid transformation going on at L3 Technologies. The company is strengthening the teams and working collaboratively to effectively build upon the firm's competitive advantages. This innovative test for the USAF customer is a perfect example of the way the firm is accelerating its ability to address the company's customers’ increasingly complex needs.